Melbournites, you’d better get bready for this! A new café has just opened, and you’re gonna loaf it. 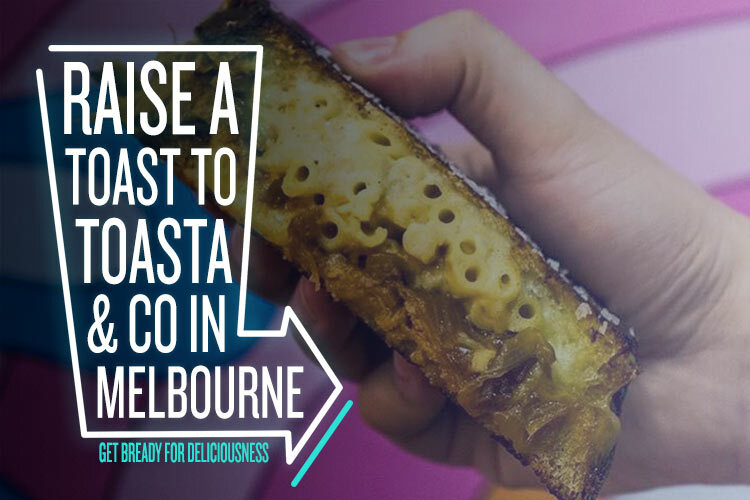 The Toasta and Von Crumb food trucks have been roaming our streets for ages, but now they’ve joined forces and found a permanent home together in West Melbourne. With a menu full of old favourites like toasties and schnitties, it’s the perfect place to forget about adulting (at least for one meal) and really indulge your inner child. But these aren’t toasties like your mum used to whip up after school. 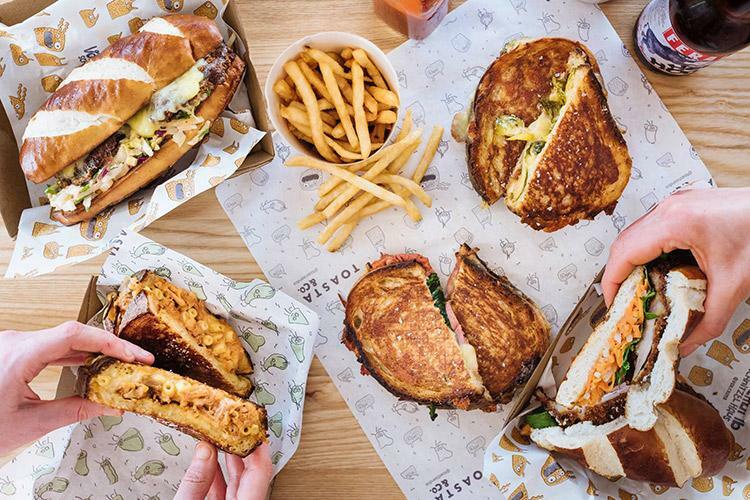 Made on thick-cut Zeally Bay organic sourdough bread, these next-level toasties are stuffed with some seriously tasty toppings. Two instant classics are the Rami, which features gorgonzola, pastrami, spinach and caramelised onion, and the Mack, which oozes cheese, mac & cheese and caramelised onion. The schnitzel is definitely worth a fry, too. With both chicken and eggplant options, the flavour is in-crumb-parable! Serving up snacks like these, it’s no wonder Toasta & Co are the toast of the town! We had a chat to founder Rebecca Feingold to find out more. Hi Rebecca, thanks for having a chat to us. Can you tell us a bit about your background and how you ended up at Toasta & Co? I’ve always loved cooking for people, and making people happy through food, so my intention was to create a food business based purely around making people happy! What inspired you to reinvent two classic kids’ foods – toasties and schnitzel – into amazingly delicious meals for grown-ups? Our vision is to help reconnect people with their inner child through food, so what better way to do that than with toasties and schnitties!? 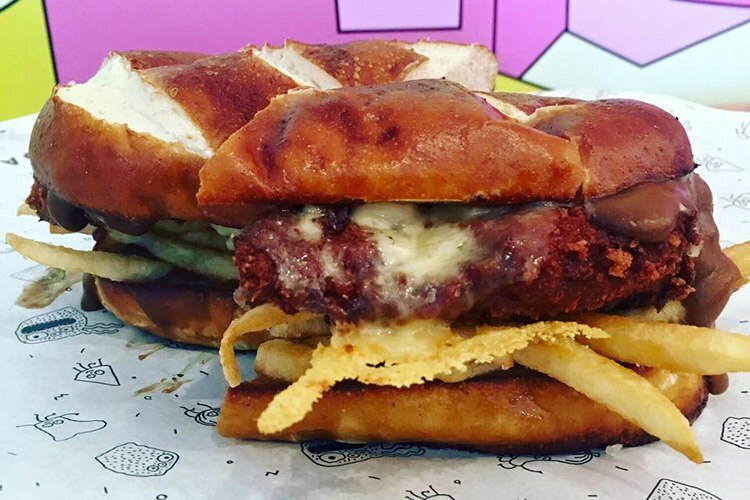 Poutine Schnitzel in a Pretzel Bun – oh yes! Good point! What do you think it is about toasties that kids and adults alike love so much? It’s the ultimate comfort food that touches home for so many people, young and old! It’s the food you’d all eat as a family on a lazy evening, or at uni for a cheap go-to. What goes into making a world-class schnitzel, and what would your dream schnitty look like? As Von Crumb’s mantra goes, ‘buttermilked, panko crumbed, golden fried, chicken thigh!’ It’s all about seasoning the crumbs with the perfect balance of herbs and spices, using buttermilk instead of regular eggs, and of course chicken thigh instead of breast – it’s so much juicier! What’s your favourite toastie on the menu and why? I love the Russell – signature three-cheese blend, roasted Brussels sprouts and bacon jam. It’s a fun take on a classic combination, and one that would convert even the most avid Brussels sprout hater! What advice would you give to others aspiring to open up their own food business? No matter how simple or complex the food, high-quality produce is key. And make sure to follow your heart! The number of people who laughed at me when I said I was going to sell toasties for a living was a joke, but it turns out I’m not the only one who thought it was a good idea! When you’re not enjoying your own creations, where do you like to go for a great meal in Melbourne? I’m an Asian food fiend. I was at Jinda Thai in Abbotsford last night, which is a fave go-to. Claypots is another favourite, and I’m a big fan of Hell of the North for something a bit fancier. Toasta & Co can be tracked down at 181 Adderley St, West Melbourne. Head over to their Facebook page for stacks of delicious updates!